* I authored a bill in 2016, SB 1463, to address wildfires caused by sparking electrical lines in order to protect my constituents. * The constituents who had been dealing with the CPUC and CalFire all disagreed that these two agencies were doing their job well or as quickly as they could. Thus, the reason for SB 1463. * SB 1463 passed through a half-dozen committees, along with their thorough consultants and committee chairs, and passed three times on the Legislative Floors, receiving no votes in opposition during the process. * SB 1463 was as bipartisan as any bill can get, including having prominent Democrats as co-authors. * Governor Jerry Brown vetoed it, stating the bureaucracies he oversees were managing the situation and the bill was unnecessary. * The 2017 Santa Rosa fire was caused by sparking electric lines last year, killing some 44 individuals. * The current 2018 Camp Fire conflagration was also started by electric lines. * A journalist makes note of the veto, something that also occurred last year, but this time it goes viral (for an example from 2017, see MOORLACH UPDATE — Conflagration Legacy — October 12, 2017). * Snopes swoops in to protect the Governor (see MOORLACH UPDATE — Snopes is Fired Up — November 14, 2018). Governor Brown relied on his bureaucracy. And he’s relied on a weak excuse, saying the real issue is climate change. This year, Governor Brown mentioned a $2.9 billion budget overrun for his High Speed Rail Authority in his annual State of the State Address. He laughed it off, literally, saying budget overruns happen. But, the state of Florida built an entire high-speed rail project, Brightline, for less than this California budget blip. This is no laughing matter. This is poor management. Now we get a scathing audit report on California’s HSR from the State Auditor’s office, titled “Its Flawed Decision Making and Poor Contract Management Have Contributed to Billions in Cost Overruns and Delays in the System’s Construction” (see https://www.auditor.ca.gov/pdfs/reports/2018-108.pdf). This is poor management and nothing suggests that it will get any better. The Governor does not like to manage. The Department of Motor Vehicles is another example from this year. What was the solution? An emergency bill giving the DMV as much money as it needed to improve customer service. An open checkbook!! This is poor management. Californians are now on the hook for the high cost of fighting wildfires around the state. But, our non-manager Governor vetoed SB 1463, a bill that tried to prevent them and the resulting greenhouse gases. It’s time for the Governor to tap out and apologize. Instead, we get more apologists trying to defend the Governor’s veto. What a joke. What a testimony to prove the claim that there is fake news. Those self-proclaimed media members who are claiming to get to the truth should do so and challenge failures of a sitting Governor. Not serve as members of the palace guard. The first piece below picks up on the theme first addressed by Snopes. It is a by a reporter from PolitiFact who showed his lack of critical thinking last year on an op-ed we submitted regarding the status of crime in California (see MOORLACH UPDATE — Taken to Task — August 23, 2017). Should it be hard for someone to comprehend when Gov. Brown pushed for AB 109, which released inmates from State Prisons, personal property crime statistics would go up? Please, ask any police officer that you bump into how things are going. Or, better yet, ask a retailer or someone who lost the laptop they left in their car overnight. But, I digress. It’s a little difficult to determine what the point of the PolitiFact piece is supposed to be. But, it is amazing what one critical piece by Katy Grimes can do to stir up defenders of the craziness going on. It went so viral, it gave me numerous interviews on top-tier radio talk shows last week (see MOORLACH UPDATE — Fire Prevention Not Embraced — November 13, 2018). The second piece was a reaction to the same brouhaha and is found in The Washington Free Beacon. Fortunately, the reporter did a little more digging than just taking the CPUC’s paperwork as the answer. In fact, she finds that work didn’t really begin until August 2017, long after the Governor vetoed SB 1463. Poor management, once again. With all of this excuse making and covering up, I decided to provide a lengthy, but thorough rebuttal. Fox and Hounds was willing to print this treatise and it is the third piece below. The bottom line? The Governor should have signed SB 1463. It would have shown that he is managing departments that were dragging their feet. It would have shown he was concerned about really reducing greenhouse gases. And, most importantly, it would have allowed him to state he was working on preventing wildfires caused by electrical lines long before the Santa Rosa and Camp Fire conflagrations occurred. This is a tragic way for Governor Brown to depart from Sacramento. Instead of blaming something he was a self-acclaimed warrior against, he should simply show some remorse and state he could have done more. “One of the paramount responsibilities of government is to provide for public safety. The consequences of wildfires include loss of life, property damage, impacts on ecosystems, etc. Communities in my district, particularly Laguna Beach, are rightfully very concerned about fire safety. As deadly wildfires burned across California this week, a flurry of social media and blog posts called into question Gov. Jerry Brown’s veto of a wildfire management bill two years ago. The posts suggested the legislation could have reduced or even prevented the recent infernos — a contention strongly refuted by the Brown administration. With so much attention on the fires, we decided to examine these claims, though we did not place any Truth-O-Meter ratings on them. In September 2016, Brown vetoed Senate Bill 1463, which aimed to reduce the risk of power lines sparking fires in brush-covered and wooded areas, saying in his veto letter that the bill duplicated existing efforts. SB 1463 had been unanimously approved by the state Legislature. Many of the posts criticizing Brown circulated an August 2018 blog at Flashreport.org, a conservative-leaning website. Some described it as evidence the governor had neglected to keep the state safe. Had Brown approved the measure, lives could have been saved last year in the Santa Rosa fires, the bill’s author, state Sen. John Moorlach, R-Costa Mesa, claimed in an interview this week on the Lars Larson radio show. Moorlach’s spokesman said the state senator was not available on Thursday for an interview. But instead of speeding up fire prevention, the Brown administration argued Moorlach’s bill would have slowed down existing work. The state utilities commission and CalFire, the state’s forestry and fire prevention agency, had been at work since 2013 mapping areas at risk of fires due to utility equipment. That process produced a statewide Fire-Threat Map in January, one month after the commission voted to strengthen regulations for utilities that have facilities in areas where thick vegetation and strong winds make fires more dangerous, according to a KQED news article. In the end, we found the recent blog and social media posts glossed over the governor’s reasons for rejecting the bill in question. They dismissed existing efforts to map high-risk fire areas that the Brown administration said would have been slowed down by the bill. Because the bill was vetoed, it’s impossible to know for sure whether it would have sped up or slowed down the process. But, as Stewart said, the bill could have served as a warning to get moving on existing efforts. On Saturday, President Trump is scheduled to visit California “to meet with individuals impacted by the wildfires,” said Lindsay Walters, his deputy press secretary. We’ve fact-checked the president and his recent erroneous claims about the fires. Earlier this week, we rated False Trump’s recent claim “there is no reason” for California’s deadly fires except for poor forest management. The president ignored other key causes such as urban sprawl and climate change. In August, we rated False his assertion that firefighters couldn’t access water due to California’s environmental policies. We found the president conflated the state’s real water controversy between farmers and environmentalists with the unrelated issue of firefighting. The fires in Northern and Southern California which started last week left dozens dead in their wake, prompted the evacuation of hundreds of thousands of people and destroyed thousands of homes. At least 63 people were killed in and nearby the Northern California town of Paradise, two people were killed by the Southern California fire, and a third death in that fire zone is under investigation as possibly linked to the fire. Authorities said on Thursday there are 631 people still unaccounted for near the Northern California fire. California Gov. Jerry Brown’s 2016 veto of wildfire-related bill is facing new scrutiny in the wake of the deadliest, most destructive week of fires in state history. The measure would have required the state government’s public utility commission to work with municipalities to ensure that energy companies do all they can to prevent fires in high-risk areas. When he vetoed the bill, Brown dismissed it as unnecessary and redundant to efforts the utility commission had already begun, arguing that it would gum up the process already underway. The governor’s critics disagree, especially now that a power line is suspected to have caused the Camp Fire, which wiped out the small town of Paradise, Calif. in the worst fire in state history. The Camp Fire that swept through Paradise has produced startling numbers: 77 dead, 1,276 listed as missing, 150,000 acres burned and 10,000 homes destroyed as of Sunday night. President Trump visited wildfire-ravaged Paradise and Malibu on Saturday to witness the desolation and hear from victims. Trump’s trip revived last weekend’s heated debate between himself and Brown over the root cause of the fires—whether lack of forest management or climate change is the root cause. “Unfortunately, the best science is telling us that dryness, warmth, drought, all those things, they’re going to intensify,” he said. Some community leaders and legislators, as well as many fire victims, see other culprits: the public utilities and those in state government who they believe haven’t done enough to protect against power lines snapping and igniting the blazes. Residents in the city of Paradise filed suit against PG&E in San Francisco Superior Court Tuesday, alleging that the utility company’s negligence and faulty equipment generated the deadly Camp Fire. The plaintiff’s attorneys claimed that a high-voltage transmission line failed, igniting surrounding vegetation. The cause has not been officially determined, but PG&E disclosed in a regulatory filing Tuesday that it “experienced an outage” on a transmitter line in Butte County at 6:15 a.m. on Nov. 8, minutes before the Camp Fire was reported. Additionally, Cal Fire, the state’s Department of Forestry and Fire protection, has concluded that PG&E equipment sparked a series of destructive fires in 2017. John Moorlach, a GOP state senator who authored the 2016 bill Brown vetoed, thinks it could have prevented at least some of blazes over the last two years and the havoc they wreaked on so many lives. The measure, SB 1463, passed the Democrat-dominated legislature unanimously, 75-0 in the Assembly and 39-0 in the Senate in 2016. The unanimous votes were preceded by a lengthy committee process involving several hearings and testimony from community leaders across the state worried that utilities weren’t doing enough to “harden” their lines in fire-prone areas. “It just seems like someone as committed to that cause as Jerry Brown would say, ‘Get it done tomorrow. It should have been done six years ago when I got here,'” Moorlach said. Asked about the veto, Brown’s spokesman reiterated his veto message and referred the Free Beacon’s questions to the CPUC. “This deliberative process should continue, and the issues this bill seeks to address should be raised in that forum,” Brown said. It also said that the CPUC and Cal Fire were already “deeply engaged” in ongoing fire safety rulemaking processes at the time Brown vetoed the legislation. In addition, the CPUC spokeswoman said the CPUC and Cal Fire signed a Memorandum of Understanding in August 2017 that increased information sharing and investigative resources between the two organizations. Despite the progress the CPUC cited, Moorlach sill questions whether the commission has followed through on its efforts quickly and thoroughly enough. “In California, you have to manage the state through legislation—you have to tell the departments how and when to do their job or it can just get lost in the bureaucracy” and take years longer than necessary, he said. The measure, he said, aimed to give local governments more say in fire-prevention efforts through the CPUC proceeding making maps of fire-hazard areas around utility lines and taking steps to harden those lines and reduce vegetation around the above-ground power lines. The cities in his district and elsewhere in the state obviously still thought it was necessary, he said. After all the map-making process had yet to be completed in 2016 when the bill passed the legislature unanimously. “Some deliberative process. What a sad joke. No maps. More greenhouse gases. More innocent lives lost, all because a governor who despises managing a bureaucracy, relied on that same bureaucracy and received what? Nothing?” Moorlach wrote in a blog post this week. “Now we have the Camp Fire,” he added. The bill also received media attention after the 2017 Tubbs Fire in Santa Rosa, the second-most destructive wildfire in California history after the Camp Fire. Laguna Beach, an upscale city in Moorlach’s district, experienced four fires sparked by utility lines in the last 10 years and at least 441 homes were lost to fire, the senator said. The all-Democrat city council is still concerned about the area’s vulnerability to utility-sparked fires. The small beachside city is nestled along the Orange County coastline and only has three entry points, two of them being the North and South entrances via the Pacific Coast highway and another through a long road through a hilly, dry canyon lined with wooden utility poles. Moorlach says 58 or 59 or those poles have been hit in recent years, and when they are hit, the poles fall down blocking the roads for hours until they can be removed safely. “If one of those poles falls down and the electric line snaps, it’s a huge fire hazard,” he said. The bill also tried to give cities in fire-prone areas the opportunity to work with CPUC to place utilities underground in certain areas and help develop updated fire maps highlighting the communities at the highest risk. This fall Laguna Beach tried to pass a ballot measure that would have imposed a 1 percent sales tax increase intended to pay for placing utility lines underground along Laguna Canyon road plus other fire-safety projects. It failed on a 53.8 percent to 46.2 vote. The fact-checking sites Snopes and PolitiFact have called into question my Senate Bill 1463 from 2016. I am going to fact-check their fact-checking. Snopes wrote: “Claim: Jerry Brown vetoed a wildfire management bill in 2016, contributing to the prevalence and risk of wildfires in the ensuing two years.” So, Snopes itself is claiming two “claims” here: the prevalence and risk of wildfires. (a) In determining areas in which to require enhanced mitigation measures for wildfire hazards posed by overhead electrical lines and equipment, the commission, in consultation with the Department of Forestry and Fire Protection, shall prioritize areas in which communities are subject to conditions that increase fire hazards associated with overhead utility facilities generally and at specific locations. Consistent with Section 321.1, the commission shall develop a definition of “enhanced mitigation measures” for purposes of this subdivision in Rulemaking 15-05-006 (Filed May 7, 2015), Order Instituting Rulemaking to Develop and Adopt Fire-Threat Maps and Fire-Safety Regulations, or in another appropriate proceeding. Doesn’t it seem obvious that “to prioritize” areas with “conditions that increase fire hazards” with “enhanced mitigation efforts” might reduce fires? The key word is “might,” because, as with auto or homeowners insurance, we can’t know exactly where disaster might strike, and where it might be avoided. At a minimum, studies would be needed to indicate which of the 2017-18 fires might have been mitigated by SB 1463. Snopes should have waited for such studies, or conducted them on its own. Claim 2: The veto of SB 1463 contributed to the “risk” of wildfires from 2017-18. Risk is different from prevalence. Risk is an actuarial estimate of the future occurrence of something. Thus, the question is: Would SB 1463 have reduced the actual number and extent of wildfires, not just in 2017-18, but in the future? I have no idea how much my legislation might have reduced the risk of wildfires, but what I do know is the CPUC and CalFire were moving at a snail’s pace on an issue that presented an existential threat to many Californians. There is also a risk in inaction and the governor chose that route. Moreover, given the sclerotic nature of government agencies, especially the scandal-plagued CPUC (see below), SB 1463 might not even have been implemented yet, its benefits arriving only in future years after eventual CPUC compliance. Well, it’s odd that a supposed fact-checking organization would take the word of a government bureaucracy, the CPUC, itself known to be one of the worst managed agencies in the state. It’s virtually a regulatory DMV. “Calling the state Public Utilities Commission scandal-plagued is almost an understatement. Yes, it failed to spot faulty gas lines while its leaders dickered in private with power companies over consumer rates. But the stodgy agency is also falling short in monitoring California’s fast-changing economy. “These pressures to mend past practices and anticipate the future lie behind changes that Sacramento is mapping out for the PUC. Pressure was building in the Legislature in an unstoppable wave that moved a reluctant Gov. Jerry Brown to agree to a makeover plan. The ineptness of the CPUC is well known. But, working on simple fire maps for more than eight years and not broadcasting their effort to the Legislature? It could be done by someone with a laptop in two days. Anxious cities wanted the fire maps. Accordingly, the Legislature tells the bureaucracy what to do, not the other way around. SB 1463 would have accelerated the critical prioritization. It’s done with so many proposed arenas and football stadiums. But the governor didn’t ask for such authority or guidance. He relied on a troubled agency, only now to find the project was buried in the bureaucracy, stating the bill could possibly complicate this drawn out process. This assertion is proved, as SB 1436 was reviewed by six legislative committees. If the CPUC and CalFire were legitimately performing the work they claimed to be doing, shouldn’t they have informed at least one of the committee chairs? “At the request of the City Council of Laguna Beach, Sen. John Moorlach (R-Costa Mesa) authored SB 1463 in 2016, a bipartisan bill which would have given local governments more say in fire-prevention efforts through the Public Utilities Commission proceeding making maps of fire hazard areas around utility lines. Laguna Beach is part of my 37th District in the California Senate, so I want to take care of my constituents. I still remember the horror in 1993 when large sections of the beautiful city burned down from wildfires, which I could see from my home in Costa Mesa. They lost 441 homes. Even three years later, only about one-half of the homes had been rebuilt. Today, the average value of homes in Laguna Beach is more than $2 million. Another devastating fire would destroy many tens of millions of dollars of property, along with the potential loss of life. There are only three roads into Laguna Beach. Two are PCH, North and South. The third is State Route 133, Laguna Canyon Road. Whenever I drive down this scenic road, I see how easy it is for someone to hit one of the wooden power poles, causing snapped electrical wires to ignite fires. In recent years, some 58 of these poles have been hit. Downed poles were blamed for fires there in 1970, 2012, 2015 and other years. We’re lucky more fires haven’t been started. “[Councilman Bob] Whalen thanked Moorlach for his efforts to push the bill [SB 1436] in Sacramento. “City officials called for citywide ‘undergrounding’ of utilities following a 15-acre wildfire in July 2015 that started when trees fell into utility wires, causing a power surge that sparked flames. Whalen said the city ‘dodged a bullet’ with that fire thanks to favorable winds and firefighters’ efforts. He said he immediately contacted Southern California Edison and urged the utility company to partner with the city to reduce imminent threat of fire. “Whalen and other city officials met with SCE several times. But [City Manager] John Pietig said the city chose the legislative route once it became obvious that city officials were not getting ‘meaningful assistance’ from SCE to bury the power lines. Laguna Beach residents even put Measure P on the November 6, 2018 ballot to pay for the undergrounding. It was defeated, with 54 percent voting “No”; a two-thirds “Yes” vote was needed for passage. Opponents contended it would have been the second city sales tax increase in two years, and, “Historically individual neighborhoods have paid for their own undergrounding,” among other arguments. In my ballot recommendations, I also recommended a “No” vote because Californians everywhere already are taxed too much. As I noted in my October 22 Update, there are other funding sources. It’s best to find non-tax solutions to this and other problems. 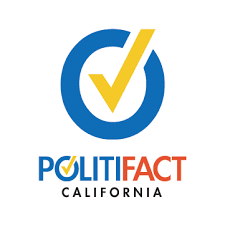 In reference to Snopes, the point is at least 43 percent of voters in Laguna Beach even are willing to raise their own taxes to pay for undergrounding. Presumably a majority would favor undergrounding with other ways to pay for it. Going beyond the Snopes inquiry, I also proposed a different SB 1463 in 2018, which would have dedicated 25 percent of state cap-and-trade funds to wildfire mitigation efforts. That bill failed. But parts of its concept were incorporated into SB 901, which did pass, and uses $200 million a year of cap-and-trade funds over five years for wildfire mitigation. The connection with cap-and-trade is crucial. Cap-and-trade is intended to fund the reduction of greenhouse gases. Yet a few days of wildfires may generate a volume of greenhouse gases as great as every vehicle in the state operating for a whole year (in addition to the other toxic emissions and co-pollutants, not counting the immense loss of life and property). Don’t even get me started on the amount of cap-and-trade money that is going to the high-speed rail boondoggle. Perhaps we should divert every last cent to our fire-prone areas and abandon the not-so-bullet train? Especially since it will be electric-powered? If SB 901 – or either version of SB 1463 – can prevent even one wildfire, then it would more than pay for its cost. In the new piece, Nichols rehashes similar material to that of Snopes, including the same CPUC excuses. And he quotes Evan Westrup, Gov. Brown’s spokesman, who said it was “absolutely shameful to exploit this tragedy – with fires still burning – to try to score cheap political points.” It’s not clear from the Nichols piece if Westrup is criticizing my efforts and comments, or something else. But for the record: In democracies, it’s just such discussions by which we solve our most pressing problems. Nichols continued, “Westrup added that the Brown administration has taken numerous steps to prevent fires in recent years, citing several efforts here.” Listed are four positive steps, such as “September 21, 2018: Governor Brown Signs Legislation to Strengthen Wildfire Prevention and Recovery.” Not mentioned by Nichols: the legislation was SB 901, and that I supported it. Of course, Gov. Brown is to be commended for taking this and other steps. But the issue at hand is SB 1463 from 2016. “Cal Fire and the California Public Utilities Commission have been working for years to make maps of the highest-risk areas in California. Those maps, once finished, could be used to hold utility companies such as Pacific Gas and Electric Co. to higher fire safety standards. “After last month’s [October 2017] deadly Northern California wildfires, some state lawmakers are saying the process of making the maps is moving too slowly, putting people’s lives at risk…. “State Sen. John M. Moorlach, R-Costa Mesa, sent a letter to Gov. Jerry Brown this week asking him for details about what exactly the agencies have been doing. “ ‘This mapping exercise has been going on for a decade, while over the last few years, dozens of lives and hundreds of thousands of acres have been lost in wildfires resulting from fires started by utility wires,’ Moorlach wrote in the letter. That’s contradictory. Isn’t “a good shot across the bow” more than not making “much of a difference”? And Stewart actually is talking about Brown’s vetoing of the bill, not what would have happened if it actually had been signed into law – which I contend would have produced better results. As in their August 2017 article, Nichols and PolitiFact are confused about the facts. It is such realistic solutions as my bills that are needed to fight California fires. In January, I am considering introducing new legislation along the lines of the 2018 version of SB 1463. With new members of the Legislature and a new governor, new approaches should receive new consideration. Meanwhile, Snopes needs to “Snopes” its own investigations and PolitiFact needs to fact-check itself. President Donald Trump will travel to California this Saturday to meet with victims of several deadly wildfires currently burning in the region that have already claimed the lives of over 70 people. The state is currently fighting two fires, one outside of Los Angeles and another far more deadly fire north of Sacramento. As of Thursday afternoon, authorities had confirmed 56 deaths in the northern California fire known as the Camp Fire, and another three deaths in the southern fire, known as the Woolsey fire. It was unclear Thursday precisely which area of the state Trump planned to visit. The White House said more information would be released in the coming days. The President will have a lot of devastation to view. Drone footage of the City of Paradise shows that that a gorgeous, small town is little more than ash and soot. The death toll is expected to climb over the next few days, having already reached 71 as of Saturday morning. There are also more than 1,000 missing people, and that list is expected to expand as well. It appears that a temporary truce has been called between Trump and the political leaders of the #Resistance from California. Sen. Dianne Feinstein is glad to see the president come to California. “I welcome the president’s visit to see the extent of the damage from these ongoing wildfires and look forward to working with his administration to ensure California receives all the federal support possible in the response and recovery,” Feinstein said in a statement. Meanwhile, the quest for the origins of this year’s fires, especially the Camp Fire that incinerated Paradise and the Woolsey fire that destroyed numerous celebrity homes and 83% of the cherished Santa Monica National Recreation Area. The park had been the site used for filming many TV shows and movies. There are many theories being offered about why these fires began. An electrical cause is certainly on the table, [James Engel, the deputy chief of law enforcement and fire prevention at the northern division of California Department of Forestry and Fire Protection] said, from a power line that could have fallen in the wind, or some other malfunctioning electrical equipment. Other causes will also be considered, from a tossed cigarette to a power-mower blade sparking a rock to a hot vehicle tailpipe. Many investors in Pacific Gas and Electric, one of California’s largest utility companies, have already placed their bets and reduced their risk, with the company’s share price plummeting in a wave of selling in fear that the company will be held liable. California Gov. Jerry Brown vetoed a bipartisan wildfire management bill in 2016, despite unanimous passage by the Legislature, 75-0 in the Assembly and 39-0 in the Senate. SB 1463 would have given local governments more say in fire-prevention efforts through the Public Utilities Commission proceeding making maps of fire hazard areas around utility lines. In a gross display of politics, this is especially pertinent given that Cal Fire and the state’s media are now blaming the largest utility in the state for the latest wildfires. In his explanation of the veto, Brown indicated that map-making and threat-assessment was already occurring between the utilities commission and Cal Fire. If it turns out the a powerline is responsible for these blazes, Moorlach would have been tragically prescient.